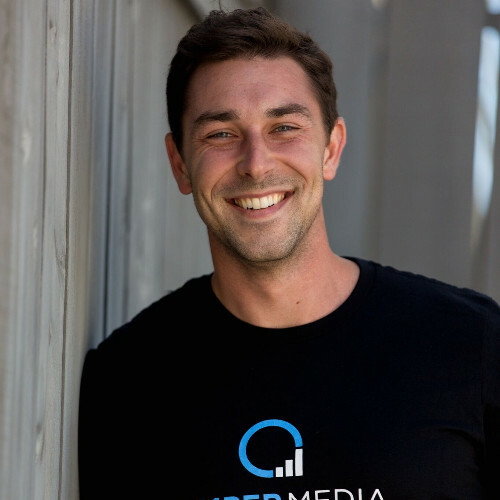 Jumper Media is a team of strategic thinkers, marketers, developers, and designers who are passionate about helping businesses and brands reach the right audience on Instagram. Colton has been a social media connoisseur since the time it’s been around. It started when he began working with golf pros to better establish themselves on social media. As business grew, he realized that this was not “merely” social media. It was building relationships & creating opportunities that expanded far beyond golf. Instagram’s user base is still growing pretty rapidly. They are also adding a lot of new useful features, especially for businesses. Nowadays, you can use Instagram in a lot of different ways - from growing your audience organically or via paid ads, or by using at as a portfolio for creatives. The monetization strategy is not that different than the one on Facebook, but Instagram as a platform has become a little bit more engaging than Facebook. They have also rebuilt a lot of useful features into Facebook to engage that audience as well. They’re one and one. If you are concerned about your account security, connecting your Facebook account to Instagram is one of the great ways to protect your account. This encourages people to have Facebook in the first place. When it comes to duplicate content, what is different to let’s say, a few years ago, is that now people share from Instagram to Facebook and not vice versa. From a user experience, Instagram is easier to consume. Facebook definitely has an older demographic, and that's the case with a lot of technologies as you age. You are comfortable with what you learned and you don’t really wanna do it again. However, there are a lot of older people on Instagram as well. If you’re a B2B company, organic reach will never help you drive any sales or get customers. All of our B2B clients are running huge paid campaigns. The organic approach only pays off if you want to use the platform to show the culture of your company which can help in your hiring pipeline. This is because a lot of people, especially the young ones, will check your company’s profiles on social media. Paid ads work great for B2C companies as well. You can target and create content as long as you have your audience in mind. We've seen engagement consistently go down over the last year and a half, so getting organic reach has become very difficult. For example, Fortune 500 companies were getting about 4% organic rate, and now they are lucky if they see 1%. Many businesses outsource their social media efforts. So now it is very typical to create content on one platform and just share it to the other one. This saves time because it can get very time consuming to create content for three or more different mediums, and at the same time expecting it to be different. Story case has changed a little bit since they released that product because now you can save them and they are part of your Instagram feed. This made stories a lot more valuable. Companies can also use this feature to showcase their product or service with a number of folders. Some features like stickers and polls helped spur more engagement from followers. This allows brands to connect with their consumers in a more meaningful way than before. We still don’t see a lot of value from this feature, because Youtube is still the number one video platform. A lot of our clients haven’t really taken advantage of it yet, and we are still figuring out how to best incorporate it. As a consumer, I haven’t found myself following or watching the IGTV very much. Building something that is unique to your brand depends a lot on the goal. Most of the time it’s about creating value and thinking about how your content can help your audience. It’s about being creative and also thinking outside the box. For example, a lot of companies that produce mattresses managed to make their Instagram profiles very interesting. Show why you are an expert on something or why your product is better than someone’s else. The last very important thing is social proof. It’s not about you or your product, but how people perceive you. Testimonials also fall into that social proof. Find ways to creatively show social proof for your brand. It depends on the brand and the consistency. The biggest problem most business owners have is the lack of time and how much time they can allocate to content creation and management. We recommend posting once every three days to stay relevant to consumers and followers. If you have the time and resources, then we recommend posting once a day. For most of our clients, we post about 5 times a week in total. We usually point our clients to paid ads and developing a campaign that can help them scale. Instagram and Facebook allow you to track everything when you are doing a paid campaign, opposed to an organic one. Providing value will give you back the desired engagement. Many brands wait to get comments in order to engage with their followers. But now it is a lot more competitive and you must be ready to reach out and take that higher step. Liking posts has as much power as commenting, and as most people have push notifications turned on, this sparks curiosity in them to go and check who liked or commented on their post. Going into hashtags, interests, and locations is another good strategy. Don’t be afraid to make that first step with someone. Like or comment on their posts. Engaging with them usually leads to good things. f you start a relationship with a like or follow, it is usually never really taken negatively, opposed to doing automated comments stuff. Like 1-3 photos maximum, instead of 15-30. Be natural and you should be fine. The organic is always there, but the alternative is paid and influencer marketing. As I have already mentioned before, organic marketing on Instagram is very difficult to track. Organic is great for brand awareness and social proof because everyone is checking your social media. When it comes to deciding whether you should go with paid or influencer marketing, this depends a lot on the product itself. If people hear about some product through the word of the mouth, then we typically advise clients to go with the influencer marketing because it is cheaper. Internally, it takes us about a week or two to set up a paid campaign for one of our clients. If we are creating content and making videos it can take us up to four weeks. When you are running a paid ad, remember that you are competing against all the other content and it is important to be fun and creative so you can get noticed. When it comes to influencer campaigns we have experimented with ambassador programs because we want these things to happen on a recurring basis. Ambassador campaigns take about three months to set up. The number of followers is probably the least important factor. I am more focused on the content they are creating because their content is what is perceived the most. For small brands, it is much more cost-effective to have a micro approach to influencer marketing. Instead of deciding to work with one person that has 50,000 followers, it is much better to work with 20-30 micro influencers that have a smaller following. This is a much better option if you have the time to create a list of your ambassadors. I've had people ask for compensation as low as 4,000 followers. In my opinion, some individual posts are not worth $500, especially with the new algorithm where half of the people won't even see the post. Usually, I'm doing the micro side of things, but we've paid influencers who've done both sides.